Each year people get new gadgets for Christmas and are confronted with learning how to use them safely and effectively. While librarians frequently provide orientation to get people started, we generally don't have a lot of curriculum available for really making people digitally literate. Luckily, there are a lot of resources available online for people to work through. Montana State Library Learning Portal Digital Literacy - Jennifer Birnel put together a lot of great digital literacy resources when she was our BTOP traininer. It's a great place to start looking for items that may be useful for your library's patron needs. It includes some video tutorials on mobile devices that may be a bit dated by now but can help you get oriented. Microsoft Digital Literacy - includes basic courses on computers and Microsoft software as well Internet and computer security and privacy. Google Digital Literacy and Citizenship Curriculum - Google focuses on evaluating online content, avoiding scams and managing your digital footprint. DigitalLearn.org - PLA and IMLS funded site - includes basic computer training (including Mac OS) as well as job searches, email, Internet. WebWise - BBC site so the examples tend to be British but has extensive online courses available including social media, cell phones as well as basic computer and Internet. Northstar Digital Literacy Project - an online assessment tool developed in Minnesota. Do you have any favorite websites you refer people to who are learning computer and Internet basics? I realized after I finished my gadget update post that I had neglected to say anything about e-readers. And that probably says more than I need to here. It's a category that's a lot less important than it was a few years ago. I think that tablets have really taken over the market. There's an appeal to a device that "does it all." Yet, I still find I have an affinity for the dedicated e-reader. They may be limited in function but they do make for an enjoyable reading experience. They're inexpensive, small and light weight, perfect for reading in bed. Nor do you have the distractions of Facebook, email, games, etc. that you have on a tablet. I even bought a new e-reader this year, a new Kindle Paperwhite wifi with special offers for $119 from Amazon. I really like it. I liked the original but the screen had some odd discolorations so I opted for a new one that seems to have worked out those bugs. I sold the old one back to Amazon. I did learn an important lesson with the first gen Paperwhite and that was to forego the 3G in the future and save $70. I'd really found 3G useful in an earlier Kindle. I could get on and browse the web and check email in a pinch using their cellular data connection. But Amazon seems to have tightened down on 3G use on their Kindles so now I could really only use it to buy additional content and whispersync with other devices. I found it wasn't worth the extra cost and I got very little back for the extra expenditure upon resale. I think I only got about $5 more for the 3G version than they were offering for wifi only. So, unless you have no wifi in your home and/or you travel a LOT, I'd suggest going with wifi only. But check first to make sure they have coverage in your area. AT&T is the 3G provider and there are still a lot of blank spots in their coverage in Montana. As for the special offers, they seem to be limited to promoting books at this point in time and I don't find that off putting at all. Amazon is also still offering its basic Kindle @ $69 with special offers. I don't think there's anything new in Barnes & Noble's line of Nook of e-readers. The Nook Simple Touch has been marked down for the holiday season to $59. Such a deal that it's temporarily sold out online as of this writing. I thought that was a really nice little e-reader. Also, a sell back as I just wasn't using it. But I could easily recommend it to someone who's just looking for a nice, basic, inexpensive e-reader. It's better hardware and software than the basic Kindle. 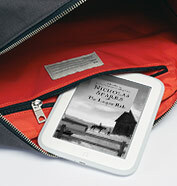 The Nook answer to the Paperwhite is the Nook Glowlight @ $119. I've never actually used one of these but I'm sure it's very comparable to the Kindle in price and features. The main difference is that it's a Barnes & Noble product instead of Amazon so if you're into the B&N ecosystem, this is probably the one to choose. It also has the advantage of in store support if you happen to live in an area with a store. But, like Amazon, B&N seems to have shifted most of its attention to tablets. Also, still in the running in the e-reader category, is the Kobo line. They seem to be a lot more prevalent in Canada and overseas so if you're shopping for a non-US reader, I'd definitely give Kobo a second look. 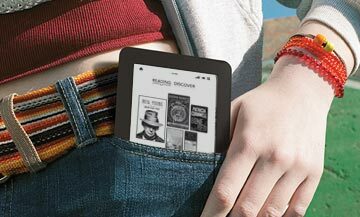 Their smallest and most inexpensive model is the Kobo mini @ $59. I do have one of these and I think it has to be the cutest and most portable e-reader ever. They've upgraded their first gen Paperwhite and Glowlight competitor known as the Kobo Glo (still on the market @ $129.99) to the Kobo Aura @ $149.99 and Kobo AuraHD @ $169.99 (you can get $20 off with code on most Kobos during the Christmas season). The Aura is not a model I've had a chance to test so I can't tell you whether or not I think it's worth the extra cost. It's main selling point seems to be a larger size - 6.9" instead of 6" which seems to be the standard for e-readers. Kobo also has several tablets in their Arc line that come in different sizes and screen resolutions. Once again, probably comparable to Amazon and B&N's tablet line. All the Arcs are Android based with the unadulterated Android that uses the Google Play Store. So, there's another plus. Sony has apparently abandoned the e-reader market in the US. That's okay with me because they made devices that I really wanted to like but just couldn't. Somehow, they just didn't perform as well as their competition. They always seemed a bit clunky, technologically behind and overpriced. I still have a lovely red PRS-T2 that I bought because I loved the idea of being able to access MontanaLibrary2Go directly from an e-reader without the aid of a computer and Adobe Digital Editions. Unfortunately, it is so difficult to navigate from the Reader and the constant slow screen refreshes blind me that I find it's virtually unusable. And none of the buy back companies want it. So, if you're coming to Offline and want a Sony Reader of your very own, let me know and it's yours. It needs a good home. Sony also makes tablets. Basically, the hardware from all of these manufacturers is similar. The big difference is from whom you get your content. All will work with Overdrive and MontanaLibrary2Go for e-books. None of these e-readers plays downloadable audiobooks. I believe all Kindle, Nook, Kobo and Sony tablets will. Kindles use Amazon's proprietary format. Nooks and Kobos use EPUB. The EPUB readers generally require Adobe Digital Editions. I HATE Adobe Digital Editions. The nice thing about buying EPUB books is that you chan choose from a variety of online booksellers. So, you needn't spend a lot of time worrying about the future of Barnes & Noble or Kobo. But it will be easier to stick with the online bookstore on your device. What I continue to like about Kobo is their partnership with independent booksellers. You can buy a Kobo from an indie bookstore and set up an account with them. Then a percentage of the money you spend on content from Kobo will go back to help support that bookstore. It's a great idea. Unfortunately, I don't often remember about it and have a tendency to go to Amazon first. It doesn't hurt that I often have a credit with them. But if you want an e-reader and want to support an indie bookstore, Kobo is definitely something to look into. You can even do a search and find out where there's an indie bookstore near you supporting Kobo ebooks - http://www.kobo.com/indie. And I believe you don't have to use a Kobo e-reader to support an indie bookstore. You can buy content from Kobo and read it on a tablet using their reading app. GoodEReader Reveiws - GoodEReader offers video reviews comparing different e-readers. Really handy in depth stuff that might help if you're stuck between a Paperwhite and a Nook Glowlight, for example. As some of you know, I tend to upgrade my gadgets on a fairly frequent basis. So, what do I do with the old ones? I recycle them, of course. Amazon - Amazon generally offers the best prices on most items and they'll take just about anything as a trade - books, video games, movies & tv, electronics, music. If you're an Amazon Prime member, it's always useful to have a credit at Amazon. I just sold them a bunch of my old e-readers. BestBuy - I recently sold them my Google Chromebook and iPad 3. No one else wanted the Chromebook so that was a factor. But the price they gave me for the iPad was competitive with Amazon. I'm sure there are others. But these are some of the biggies and ones that I have some experience with. Sometimes these are purely recycling programs. Others will offer a trade in, i.e., they will give you credit toward buying new equipment or accessories from them. But at the very least, the shipping is generally free. One of the things I've discovered is that there is a booming market in used Apple devices. They tend to hold their value pretty well in the resale market. That's unusual for electronics. But you might find local charitable organizations that can use your old devices as well. In Billings we have an organization called Computers4Kids that refurbishes old computers and electronics to give to kids and/or resell. You can take a tax deduction for your donation. So look around and see who might need it in your community. And, as a last result, you can look into electronics recycling programs in your community. That's really your only option for some old stuff like CRT monitors. No one is using them any more and you don't want them ending up in a landfill. If you're lucky, there are places that will take them for free or for a small donation. For Montana, DEQ offers electronics recycling information on their website: e-rase your e-waste. Unfortunately, it's not all up to date. Nationally, Earth 911 has a lot of interesting tips and info about recycling on their website including a recycling search that shows you where take various types of items in your area. I hadn't realized that BestBuy will recycle a lot of items at their store. Guess who will be dropping by with a box load of cables and stuff? Let me know if this was useful and/or if you have any other suggestions to add. New electronic gadgets are good but we want to be sure to dispose of the old in a responsible manner! 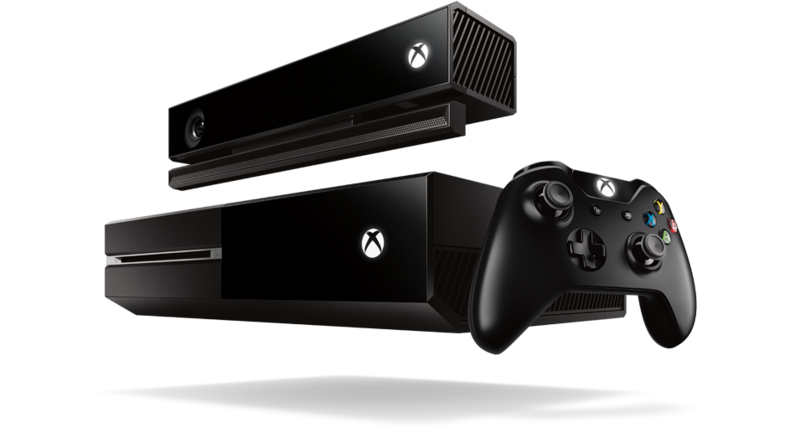 One of the big rollouts for Christmas 2013 is two new gaming systems - Xbox One from Microsoft @ $499.99 and Playstation 4 from Sony @ $399.99. As I'm not a serious gamer, neither of these is on my Christmas list. But I think it's worth mentioning that Microsoft is aiming for control of the living room with Xbox One. Reports are that they're not quite there yet, but the idea of a set top box that will control television, games and Internet by voice is intriguing. Other than that, you should probably know that neither is backward compatible, meaning old Xbox and Playstation games won't play on the new consoles. You'll have to get all new games for either device. And I expect that die hard fans will want to stick with their brand, i.e., Xbox 360 users will opt for the One and Playstation 3 lovers will choose the 4. This is a category that isn't really a factor for Christmas 2013 but might be by next year. But you may be hearing about some of these so it's worth a quick look at what's currently out there. If you have a spare $1500 and can get an invitation, you might be interested in Google Glass. By all accounts, it's still too expensive and not ready for prime time but it does give a good indication of where location based always on technology is headed. We have seen a couple of smart watches come out this year. The Pebble Watch @ $150 was a Kickstarter project that actually released this year. It has a bunch of its own apps and pairs with many iPhones and Android phones to allow you to read texts and take calls and do other tasks from your wrist instead of your phone. Samsung introduced a smart watch - the Galaxy Gear @ $299.99. So far it only pairs with one of their smart phones, the Samsung Galaxy Note 3. So, if you're looking for both a new smart phone and a smart watch, it might be worth considering. Samsung seems to have a major case of ADD continually moving onto new things while leaving previous products in the dust, so I wouldn't get a Gear expecting that it will eventually pair with an older device. That said, the existing pair does offer a lot of interesting features and a glimpse into the possibilities of wearable tech. Most tech enthusiasts are eagerly awaiting the Apple iWatch which is so far only a product rumor. But the assumption is that it will be set the standard for style and functionality against which all other products are measured. Also in the wearable tech realm and updated for this year are fitness bands: Nike+ Fuelband SE @ $149, Fitbit from $59.95 to $129.95, Jawbone Up and Up 24 @ $129.99 and $149.99. They all track activity. Some track sleep patterns and act as watches as well. Most sync with smart phones but be sure to note which ones. For example, Nike Fuelband and Jawbone Up 24 only sync with iPhones. 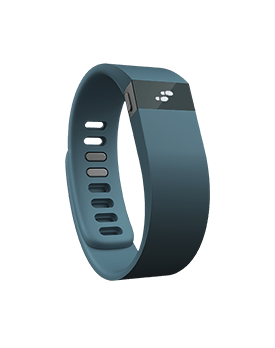 The Fitbit Force syncs with both Android and iOS but only a select few in the newer category of each. CNET Comparison Chart of Fitness Devices - mostly of older models but gives you an idea of features and links to current models and reviews. I think Apple is still the can't go wrong choice when you're looking at tablets. Top of the line hardware and design in their latest models combined with the best selection of tablet specific apps in the iTunes app store as well as a wide range of accessories make this a tablet that can almost replace a laptop. And that's good because they're priced similarly. There are choices this year. The iPad Air is the full size iPad slightly smaller and a lot lighter than previous models and starts @ $499.99 for 16 GB wifi. The iPad Mini Retina now has similar specs to its larger sibling and much improved screen resolution and starts @ $399.99 for 16 GB wifi. Apple has also chosen to keep earlier models around for those price conscious consumers. The iPad 2 is the full size earlier model chosen and starts @ $399.99 for 16 GB wifi. The iPad Mini first edition now starts @ $299.99 for 16 GB wifi. I think either of those might be okay for a younger person's first iPad. Neither has a retina display which is a real deal breaker for me especially on the larger screen. That's the only thing I hated on the early full size iPads. I found the screen tolerable on the 1st gen iPad mini. But if it's to be a device used for games and web surfing the screen resolution may not be that big a deal. I like to read on my tablets so I want a crisp clear screen. Another option for the full size is to look for used iPads from the 3rd and 4th generations. Both had retina screens and might be showing up in the marketplace as people are upgrading to the air. The 3rd gen iPad still had a 30 pin dock connector but was slightly under powered for the retina screen. Both 3 and 4 might be considerations depending on what accessories you have and how you're planning to use it. Android has pretty much two advantages over iOS that have caused it to overtake iPads in the consumer marketplace - low cost and high innovation. The two can coincide in a couple of cases but generally I'll look at them separately because I think they're largely appealing to different audiences. For the innovation crowd, the best Android tablets continue to be Google's own Nexus line. The Google Nexus 7 is a 7 inch tablet that starts @ $229.99 for 16 GB wifi. There is also a Nexus 10 as a 10 inch tablet that's much harder to get hold of. I don't even have a price for the 16 GB wifi model as it was sold out on the Google Play site and didn't come up on BestBuy. But the 32 GB wifi model sells for $499. The advantage to all Nexus products is that they get early and consistent Android updates. My Nexus 7 just updated to the latest Android 4.4 KitKat about a week ago. So, it's both relatively inexpensive and ahead of the curve innovation wise. But my iPad Air is still my preferred tablet. I find Android a bit frustrating because it doesn't always do what I want it to do, especially in comparison to iPad. Here's one example: I like to listen to Internet radio. I've tried a lot streaming apps and the one I've pretty much settled on for the moment is TuneIn. It has versions that run on all the major platforms. When I've run it on Android, it has tended to stop to buffer every few minutes. That's really annoying when you're trying to listen to a news story or music. It doesn't have that problem on iOS. In all fairness, the problem does seem to have been fixed with the new version of the app on KitKat. But as that's not the common configuration for most people, you might continue to have problems. Neither do I find the Nexus 7 to be as comfortable for reading as an iPad. Web pages don't scale as well. But I do like it for being able to stay on top of Android developments and as a very portable Internet device. I think if you're one of the Android faithful and/or you're looking for a good functional less expensive alternative, Nexus is what I'd recommend. The good news is that they're now available at BestBuy as well as online so you can try them out and compare the experience. One caution, if you're interested in the LTE version so you can use it on a cellular data plan, heed which carriers they say it works with and note that Verizon is currently not one of them. There are countless other Android tablet options out there, far too many for me to go into each in any detail. The one that I'm frequently asked about is the Samsung Galaxy Tab probably because they're offered at Costco and other locales at good prices. I think Samsung makes great hardware so this is a reasonable choice but it's not one that I would make over the Nexus. Samsung has a tendency to burden their devices with a lot of their own apps and custom interfaces. If that's what you like, go with it. But I tend not to use their apps, I prefer to stay with Google's and I don't want my device pre-loaded with stuff I'm not going to use and can't remove. This is especially important if I want an inexpensive low storage capacity device. There's nothing like having it half full when you get it. The other downside to this customization is that Samsung devices tend to lag way behind in Android updates. Does this make much difference to any but Android geeks? Probably not, but to me, it's really annoying to hear about great new innovations that I'm not going to get on my device. Lenovo, Asus, Sony, etc. also make Android tablets. They're all great hardware manufacturers. In fact, Asus makes the Nexus 7. So any of them would be a good choice. It's just a matter of preference. I'd probably want to try them hands on. I think BestBuy carries most. See whether or not you like the feel and the interface and check to see how much customization they've done and whether or not it works for you. As more of an open source option, Android offers a lot of customization for manufacturers and consumers. It also tends to have a higher learning curve than Apple's iOS. But I think they're perfectly usable especially as content consumption devices but might not suffice as a laptop replacement for most people. My one big caution is in regard to the cheapo Android tablets that you find in stores like Shopko. They're often no name brands with really early versions of Android say 3.1 or the like, before Android was any good on tablets. And the real kicker is that they sometimes don't even use the Google Play Store. I saw one that used GetJar for its apps. Now there's nothing wrong with getting the occasional app from other sources, if you're so inclined but you don't want to be limited to it. It may not run the apps that you really want and need. When you see a tablet like this for around $100, run screaming from the store. If someone gives one to you, drop it in the street and let a truck run over it. You'll thank me later. Cheap but fundtional, the Nook HD line apparently has not been updated this year. The Nook HD 7" starts @ $129 for 8 GB and the HD+ 9" starts at $149 for 16 GB. One modification that Barnes & Noble has made to their Nook tablets is that they now have access to the Google Play Store so that you have access to just about all the Android apps out there. So, it really does make it more of a full featured Android tablet. But they are last year's hardware and the website says nothing about the OS so I wouldn't expect it to be as good as this year's Kindle Fire or Nexus models, not to mention iPad. But it's also a lot cheaper. I find Windows tablets to have the most potential as pure laptop replacements. After all, you've got the premier business operating system and its office apps on a tablet. Combine this with the fact that Windows 8 is really optimized for touch and you should have the winning combination. I just haven't had the inclination or opportunity to really test it out. I do have a Windows phone and have been pleasantly surprised by how much I like it. The big downside is that it doesn't have a lot of the apps I'm used to on iOS and Android. But it's pretty and fast and fairly user friendly. If Windows tablets work the same way, I think they should get more attention than they have. The first thing you need to know about Windows tablets is that they come in two varieties - Windows RT and Windows 8. RT is a scaled down version of the Windows 8 operating system. It's found on the lower end tablets. Microsoft's versions: last year's Surface starts @ $349 for 32 GB and includes an RT version of Office. The Surface 2 starts @ $449 for 32 GB. It also has a USB port and a micro sd card reader so you can add more memory. Keyboard covers are extra. Most reviewers I've read prefer the Type cover @ $129.99. Since this is a relatively new operating system, there aren't a lot of apps for it. But if you primarily want to use Office, it might work for you. The top of the line Windows tablets feature the full Windows 8 operating system. There has been a lot of debate about this on desktops and laptops but it's probably at its best in the tablet environment. Microsoft makes the Surface Pro. BestBuy is selling last year's 64 GB model for $699.99. This year's Surface Pro 2 starts @ $899 for 64 GB. Keyboard cover and Office are sold separately. Since you're talking about fairly large software packages for office productivity, I think you'd want at least a 128 GB model. So by the time you add the extra storage, Office and a keyboard, you're up to $1,268. On their website, Microsoft compares the Surface Pro 2 to the Macbook Air. And that's really the category you're getting into here, ultralight laptops. Now, this is a full fledged Windows computer that can run any Windows 8 compatible software. But I think if it were me, I'd opt for a laptop with a touch screen instead. There are other manufacturers of Windows tablets as well: Asus. Lenovo, Acer even Samsung. They're certainly worth considering as their prices are generally much lower than Microsoft Surface. I'd look for user and tech reviews. The new Windows RT tablet that's creating the most buzz currently is the brand new Nokia Lumia 2520. It's an LTE tablet that will run on cellular networks as well as wifi (with a cellular data plan) and sells for $499 for 32 GB. You can get it for $399.99 with a two year contract. Month to month is probably a better deal. Cellular data plans are notoriously hard to figure out. While these are technically Android devices, I put them in a separate category because I continue to regard Kindle Fires as primarily content consumption devices. If you want an inexpensive yet quality piece of hardware to read, watch movies and do a little web surfing and emailing, they might be a great option. But I think you'll probably be disappointed if you're looking to one of these to replace a laptop for full productivity. The Kindle Fire HD starts @ $139 for 8 GB wifi with special offers. This is the 7" model. There's also an 8.9" starting @ $269 for 16 GB wifi with special offers. In addition, there's the HDX line with improved processors and screen resolution. This is particularly important if you're getting a device to watch a lot of HD movies. 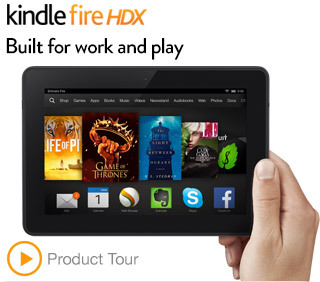 The HDX also has the Mayday button where you can get "live on-device tech support from an Amazon expert." So, this might be a device to get grandma if you think she needs a tablet but you're not going to be there to answer her questions and provide tech support. The only real downside for Amazon Kindle Fires and this is a deal breaker for me is that they use their own customized Android overlay and only work with the Amazon Kindle app store. For some reason, Amazon has decided not to make any of the Google apps available and also restricts access to other competitors so that you're pretty much restricted to the Amazon world for content. But if that's what you're using, it is a great piece of hardware for a very reasonable price. That's because Amazon makes its money off content. Mashable - From iPad to Galaxy Note: Which Tablet is Right for You? Let me know if there's any interest in other gadgets this holiday season. And I'd love to hear your comments and feedback on items that I've mentioned.